Say no-no to yo-yo dieting with this proven, three-phase program. There’s a buffet of reasons people avoid joining a weight-loss program; at the top of the list is a “been there, done that” attitude. It’s easy to lose weight. Keeping it off is the hard part. That’s why Medi-Weightloss® is so successful. Its three-phase program provides ongoing help so patients maintain their healthy lifestyles forever. 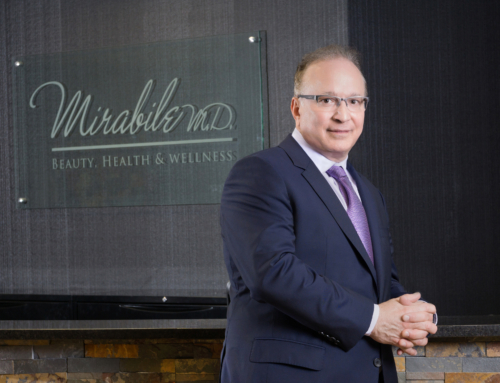 When Dr. Mirabile decided to add a weight-loss program to his mix of wellness services, he spent months researching options. 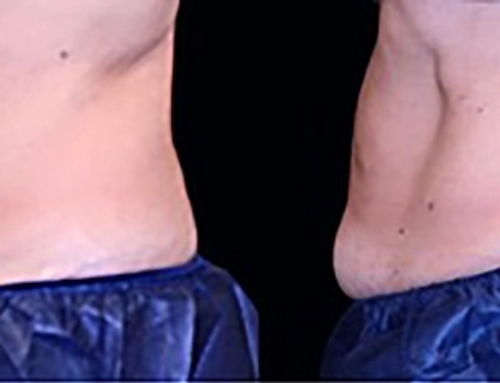 He knew he wanted to offer his patients a proven system and Medi-Weightloss appealed to him for many reasons. At the top of the list is the fact that Medi-Weightloss is a physician-supervised program. Each patient begins his or her healthy change with a unique health profile including a body composition analysis and complete medical exam (including a blood panel and EKG). In fact, he was so impressed with Medi-Weightloss, he serves on the company’s national advisory council. Patients are guided through three phases of a healthier way of living. “Phase One is the most exciting,” explains Jenni Frazier, RN, one of the Mirabile M.D. Medi-Weightloss team that consists of a registered nurse and nutritionists. 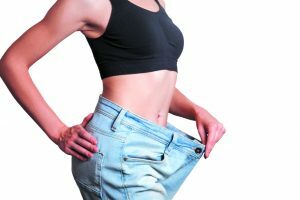 “Anytime we hear excitement from a weigh-in room, we know someone has met their goal for the week.” That jubilation signifies a major breakthrough; often as much as seven pounds lost in the first week. Patients often continue to lose two to three pounds a week throughout the initial phase. Dr. Mirabile explains that if a patient follows the Medi-Weightloss guidelines carefully during the first week—defined as the acute phase—he or she absolutely will lose weight. Ketosis is the part of the “science” aspect of the system. Jenni explains ketosis this way. 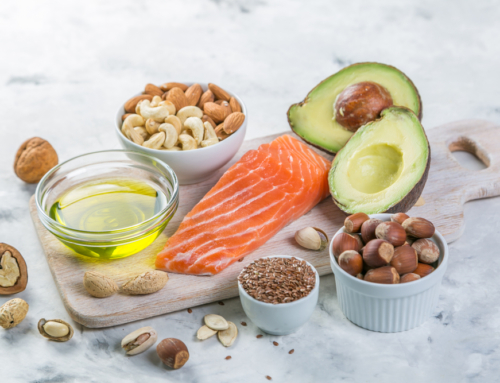 “By simply changing the food you eat, you force your body to burn fat for its primary energy source.” Other benefits include more energy, better mental clarity along with less appetite and reduced sugar cravings. Along with proprietary supplements and vitamins, new patients receive ketone sticks in their Super Starter Kit so it’s easy to see when you’ve reached ketosis. That, and the fact your waistband may be a bit loose. Week One meals focus on healthy proteins with a calorie range that is personalized for each patient based on their BMR (basal metabolic rate), along with plenty of fluids. Signature injections include a medi-bolic booster of B12 (known as the energy vitamin) and B6/B1, to help convert food to energy. FDA-approved appetite suppressants, if indicated, can also be prescribed. The acute phase includes weekly meetings with a weight loss counselor. During these one-on-one chats, we obtain vitals, conduct a body composition analysis, patients go over their food journals, discuss any challenges—such as an upcoming special event—and get proven tips including recipes that keep you on track (see below for a few favorite tips). During Week Two, you’ll incorporate non-starchy vegetables such as broccoli, tomatoes and salad greens—plentiful options you’ll find in grocery stores and the Midwest’s farmers’ markets—into your nutritional plan. Approved fruits, like strawberries and blueberries, contribute to a well-balanced diet. 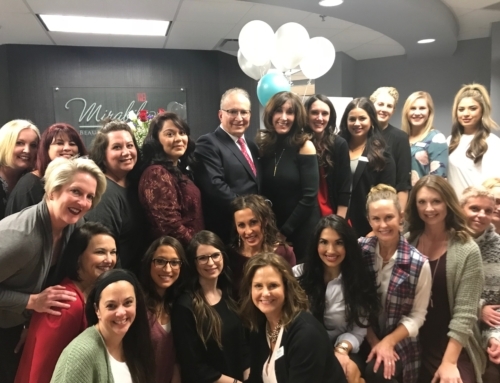 “One of the advantages to Medi-Weightloss is that patients get to eat delicious, real food,” explains Dr. Mirabile. “Whether they like to cook at home or eat out, the choices are nearly endless.” How do Buffalo Chicken Salad or Shrimp and Snow Peas Curry sound? These are just two of the recipes you’ll receive during weekly meetings. Others can be found on the Signature Patient Website, available exclusively to Medi-Weightloss patients. Once you’ve met your weight-loss goal, you’ll continue to meet with your counselor weekly. You’ll learn how to increase calories and re-introduce additional foods into your diet. The Wellness Phase is next, but here, too, each patient continues to access the Mirabile M.D. team through monthly meetings (or more frequently if needed). By now, patients have learned new ways of eating healthy—not just what to eat but how much—and have ditched bad habits. Are you ready to make the commitment to a lifetime of healthy living? Now’s the time to drop pounds and make your confidence soar by summer. Schedule a free assessment to see if Medi-Weightloss is right for you. Planning your meals ahead of time offers a road map for your day. Many successful patients say they prepare a majority of meals at home, and swear by prepping a week’s worth of food at one time. You’ll find a wealth of delicious recipes via the MediLiving newsletter and at MediWeightloss.com. But we’ll also teach you how to navigate restaurant meals as well. For instance, check out the menu (usually available online) beforehand so you can choose a healthy option. Don’t hesitate to ask for substitutions. And skip the bread and butter! We suggest at least half your body weight in ounces. For example, a 150 lb person should consume at least 75 ounces of water daily. Fun fact: if you feel like you’re “retaining water,” it may mean you aren’t getting enough water. Aim for 7 to 9 hours every night. When you’re sleep deprived, metabolism and energy both suffer. Our patients who keep a daily food diary are more successful. Often times, people don’t realize that they are eating or drinking things that could be sabotaging their efforts. 5. Eat protein consistently throughout the day. Adequate protein intake is an important part of the program. Keep protein-rich food (hard-boiled eggs, cheese, sliced turkey) handy at home and the office so you’re not tempted to cheat. 6. Don’t weigh yourself every day. Weighing yourself at home daily can be self-defeating. Most successful patients say the weekly weigh in at their appointment is their only weigh-in. Setting small attainable goals is often times better and doesn’t feel as overwhelming. Our patients always have a long-term goal, but those who also set and strive for small, shorter-term goals say they remain more motivated. Don’t fall for “low carb” or “low sugar” on packages. Check the exact calorie, protein, sugar and carbohydrate counts. And don’t forget to look at serving size too. For instance, a serving size of protein is about the size of a deck of cards. 9. Enlist a family member or friend. 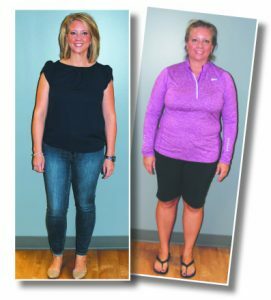 Our patients tell us, and research confirms, that when you go through a program with a friend or family member you lose more weight. Support is invaluable! Even the healthiest diets often don’t provide all the nutrients we need. Your Medi-Weightloss Super Starter Kit includes key vitamins and our Vitamin B injections help with energy and well-being. *A unique health profile: Body composition analysis, complete medical exam, including blood panel and EKG and nutrition/fitness information. *Weekly counseling sessions: Check in with a Mirabile M.D. Medi-Weightloss professional to assess results and make adjustments. *Monitoring health for any diseases: Cardiovascular, high blood pressure, diabetes, etc. Medi-Weightloss patients, on average, lose seven pounds the first week and then two-three pounds each week for the first month. The three-phase program guides participants through Acute, Short-Term Maintenance and Wellness, offering strategies for a lifetime of success and healthy eating. KC Health & Wellness Magazine. April, 2018.